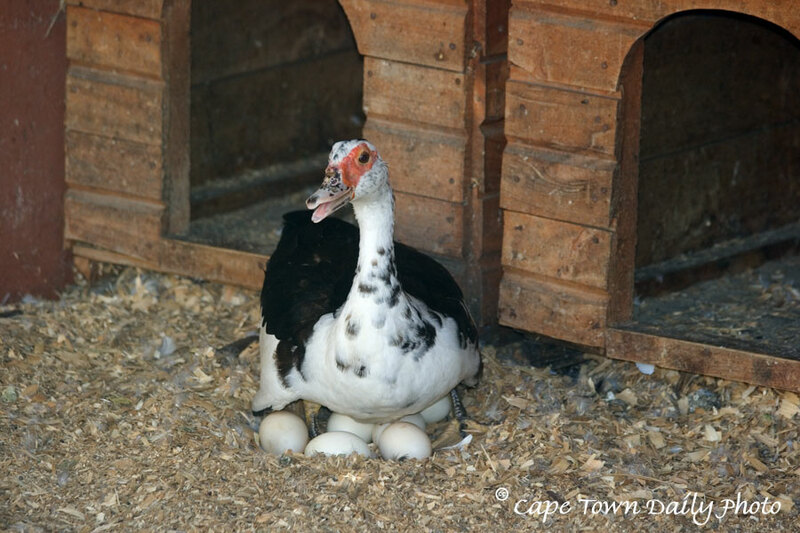 A little bit of Internet sleuthing led me to conclude that this goose (photographed at Cape Garden Centre) is a male Spur-winged goose. I nosed around on wikipedia until I found a goose fitting this description (black and white, with red markings on the face); I then discovered that the males of the species are the ones who have a red patch on the face. I could be completely wrong about all this, of course, so if you're an expert on waterfowl, please leave a comment! Posted in General on Thursday, 31 January, 2008 by Kerry-Anne.